Every kitchen serves as the heart of a home. Friends and family gather to cook and share a meal together. 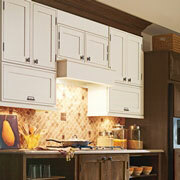 Help your clients capture that sense of belonging and openness with a complete kitchen remodel. We have the cabinets, sinks, and countertops that trade pros are looking for to make their client’s dream kitchen become a reality. If your clients are looking for an easy kitchen remodeling project that leads to immediate results, trade pros should encourage them to consider new kitchen cabinets. With new faces, made from beautiful materials like wood and glass, any kitchen can be the luminous space your client sees in magazines. 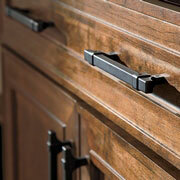 As important as the cabinets themselves, the hardware on your kitchen cabinets serves as a clever accent piece. Available in attractive brushed metal finishes, or shiny steel, the selection of knobs, pulls, and handles at ProSource will brighten up any kitchen. A sturdy kitchen countertop plays host to a dozen or more activities every day. From cooking and cleaning to playing and homework, your clients need a durable kitchen countertop in their home. 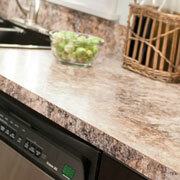 ProSource offers countertops made from striking materials like granite, marble, and even recycled materials. 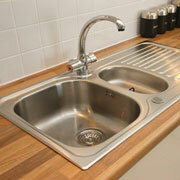 The kitchen sink is one of the most used fixtures in any home. Your clients will appreciate ProSource’s wide variety of sinks. In our showroom, you’ll find sinks made from stone, metal, and porcelain, in single, double, and triple basin styles. 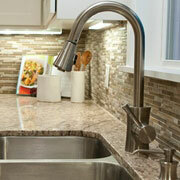 No kitchen remodel is without the addition of a stylish new kitchen faucet. ProSource offers cutting-edge brands that balance utilitarian features with refined design choices. We encourage our trade pros to visit our showroom to see all our faucet options.